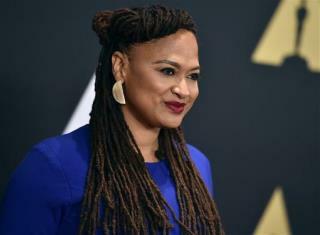 (Newser) – As Deadline reported earlier this week, Disney's A Wrinkle in Time, directed by Ava DuVernay, has a budget of more than $100 million. Why is that significant? Because, as the Women and Hollywood blog points out, that makes DuVernay the first woman of color to direct a live-action film with a budget that high. And only two other women (Kathryn Bigelow with K-19: The Widowmaker and Patty Jenkins with next year's Wonder Woman) have ever helmed live-action movies with budgets of more than $100 million. *Yawn* Another "barrier" "broken." *Yawn* No one cares, nor should they. Know why? Because this republic is doomed and no amount of "diversity" will change that. Here's a thought for all the cool, urban, trendy hipsters. . .how about diversity of thought instead of the Marxist groupthink that passes for thinking today. The US is on the verge of giving me the creeps. And it long ago ceased being a republic of free people. No one is surprised. Go to any company...even corp grocery store and watch. Employees are zombies and that is exactly what our Tavistock, Frankfurt Schools and their Fruedian-Marxist-Fascist pathocracy desire. Zombie defined: inability to trust oneself. Are your films diverse enough? If not, your accomplishments will never matter.